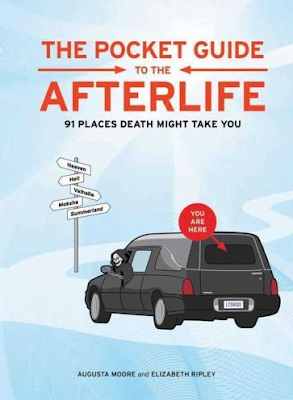 Think of “The Pocket Guide To The Afterlife” as a sort of Travel + Leisure Magazine meets Death Takes A Holiday. The book, appropriately subtitled “91 Places Death Might Takes You” provides a simple overview of what one might expect to encounter in the afterlife in pretty much every spiritual scenario from Atheism to Zoroastroism. Here at the MuSuNaHi, we were especially impressed with the authors’ colorful description of what might expect upon arriving in each individual iteration of the hereafter (eg: on reaching Krishna consciousness, the authors describe Krishna as “your new BFF.”).